Orachi is a teenager from Uganda who needs $196 to fund a mass removal procedure. Orachi is a student from Uganda. He is the youngest of six children. In 2017, Orachi noticed a swelling on his right wrist. He experiences discomfort. 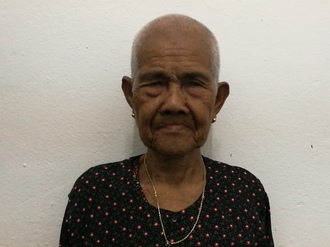 Orachi traveled to our medical partner’s care center to receive treatment. On March 13, surgeons will remove the mass. Now, Orachi needs help to raise $196 to fund this procedure. Orachi's case was submitted by Joan Kadagaya at African Mission Healthcare Foundation in Uganda. Orachi was submitted by Joan Kadagaya, Curative Medical Support Program-Partner Representative at African Mission Healthcare Foundation, our medical partner in Uganda. Orachi's profile was published to start raising funds. Orachi received treatment at Holy Family Virika Hospital. Medical partners often provide care to patients accepted by Watsi before those patients are fully funded, operating under the guarantee that the cost of care will be paid for by donors. Awaiting Orachi's treatment update from African Mission Healthcare Foundation. Orachi is currently raising funds for his treatment. Broadly speaking, masses come in two types: benign (not cancer) and malignant (cancer). The types of tumors are many and could range from osteosarcoma of the jaw (a bone tumor) to thyroid enlargement to breast lump to lipoma (benign fat tumour), among others. The symptoms vary depending on the type of tumor. Not all tumors, cancerous or benign, show symptoms. A common benign tumor, such as a lipoma (fatty tumor), may cause local pressure and pain, or may be disfiguring and socially stigmatizing. An ovarian mass may be benign or cancerous and may cause pain, bleeding, or, if malignant, death. If the tumor is cancerous, it is usually aggressive and invasive. If not treated (like certain skin cancers, for example) there could be tissue destruction, pain, deformity, and ultimately death. Some of these patients have lived with potentially disfiguring or uncomfortable swellings for years. This treatment depends on the location of the mass and whether it is cancerous or benign. In the case of cancer, the procedure can be life-saving. In the case of benign tumors, patients can be free of pain, discomfort, or social stigma. If the tumor is cancerous, the surgeon will only try to remove it if the procedure would be curative. If the cancer has already spread, then surgery cannot help. Most of these surgeries are not very risky. If the tumor is cancerous, chemotherapy may help, but that treatment is even less available than surgery. If the tumor is benign, it depends on the condition but just watching the mass would be one option. Monday is a farmer from Uganda. He is a father of eight children. For three years, Monday has had an inguinal hernia. This hernia causes him pain and discomfort. 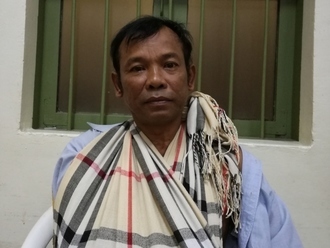 Fortunately, on February 20, he will undergo hernia repair surgery at our medical partner's care center. Our medical partner, African Mission Healthcare Foundation, is requesting $249 to fund Monday's surgery. Once completed, this procedure will hopefully allow him to live more comfortably and confidently. He says, "After surgery I will resume working in my fields."